Giving today is about being flexible, creating connections, and promoting greater transparency. We want donors to be able to give in any way that is convenient for them — via text, via mobile, via swipe, via desktop, during the day, late at night, and in multiple languages. “GiveCentral’s mission for nonprofits is to enhance everyday. With donor’s wisdom and experience we improve everyday to increase giving for you.It’s not only about making it easier for you, but also for your donors. It’s about thinking about how we could make complex systems as simple as possible!” - Patrick Coleman, CEO & President. With technological innovation, things have been changing at a rapid pace. Therefore it is only imperative that one keeps up with time and adopts the latest trends. Not the one to stay behind the curve, GiveCentral has been working overtime to make it smoother and simpler for donors. 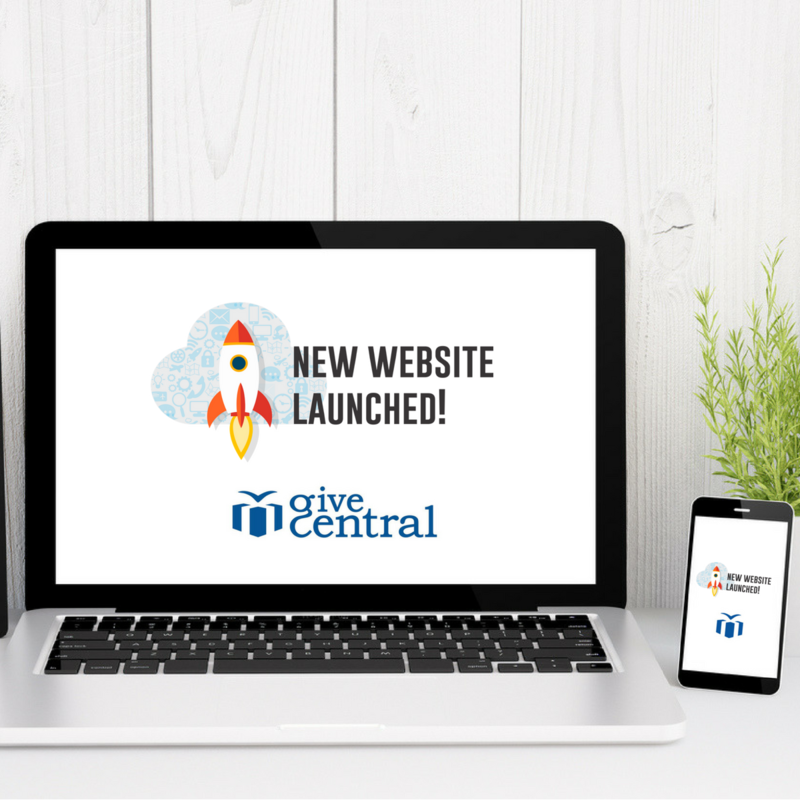 In this backdrop, GiveCentral announces the launch of its new website, with all the required features, which would make the donor experience a great one. All the relevant information on all products and services can now be accessed at a click of a button. One could view GiveCentral’s products like GiveCentral Community, GiveCentral Connect, Event Support, Fundraising for the Future, Crowdfunding, etc. and request for a product demo quick enough to start fundraising in 5 seconds! Here, we have listed down the essential features that have been included in its new website. With an increasing number of people accessing information and doing transactions through their mobile devices, it goes without saying that making one’s website mobile responsive is essential. GiveCentral has optimized its website to fit into all sizes of mobile devices. Due to the small screen size of a mobile device it is usually not possible to show the full menu. A hamburger menu function helps one to get round this impediment by hiding the main menu content as a sidebar, allowing users to bring up the main menu by clicking on the three small horizontal bars at the top left corner of the page. With the help of optimised code and efficient content management system, the new website has a high speed and some really good performance. It is cache enabled which means that when a user visits a page multiple times, some site data is stored in the browser cache of the user’s device. This has increased the page loading speed. Moreover, the powerful system updates have increased the capability to handle great volumes. This new website is compatible with all modern web browsers like Chrome, Safari, Internet Explorer, Edge and Opera. With a distributed domain, secure protocols and proper virus protection, the new site is PCI compliant and well protected. The comment feature on the blog would help users to engage directly and the social media share buttons would allow them to share the articles instantly, on their individual social media accounts. The Search bar makes it really easy for users to search any information and the Sidebar shows all the latest or most popular blog posts, call to action or related posts. This ensures instant communication and settlement of queries whenever any user is visiting the site. A clearly articulated and accessible call to action makes it simpler for the potential donors to know how they could help to make a difference. Frequently asked question listed down with their articulate answers to help in the settlement of queries of the users. This would act as a guide for them whenever they need an answer. Care has been taken to ensure that the content is easily readable and the font is as clear as possible. Contrasting colours have been used to make it easy on the eyes. The links are easy to understand. Keeping the interests of the viewers in mind, the navigation is made better for them. The new website has been designed keeping the users ease in mind. The users have been kept at the centre of all the efforts and the changes made.